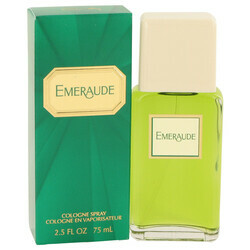 Launched by the design house of Coty in 1921, EMERAUDE is classified as a refined, oriental fragrance. This feminine scent possesses a blend of jasmine, orange, and other citrus florals. Ending with spices and sandalwood.